Looks like a body bag on the floor with a dead person in it - SURPRISE! 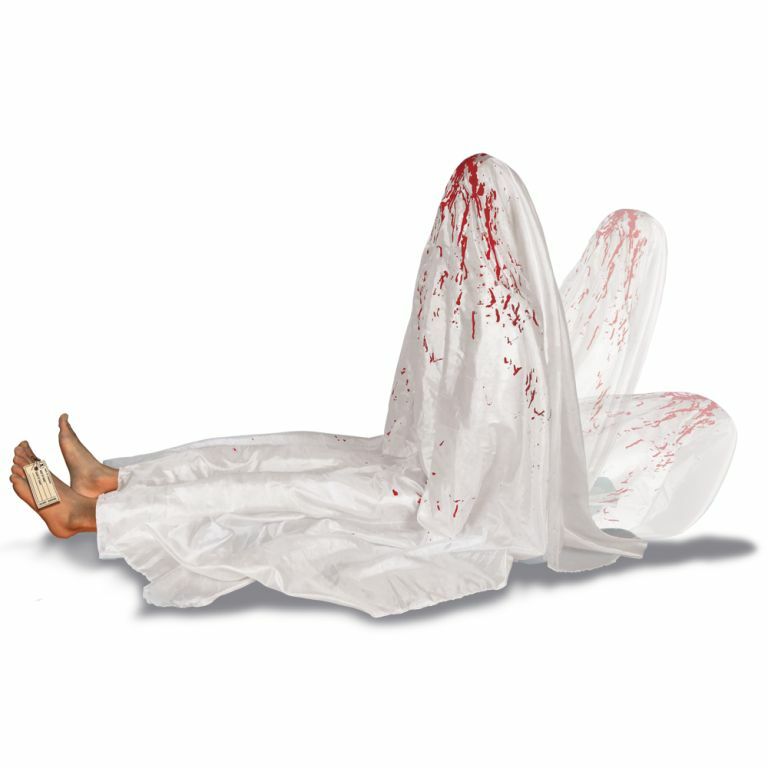 This body bag rises up and scares the BEJESUS out of everyone! Fun for Halloween decor or to scare your friends. Sound activated. Works with 4 AA batteries - Not included. INCLUDES FRONT ZIP ORANGE JUMPSUIT WITH "PSYCHO WARD" PRINT ON BACK AND FRONT AND FACE MASK. Includes jumpsuit with attached tattoo sleeve, wrist shackles and mask. INCLUDES ORANGE DOUBLE ZIP FRONT DRESS WITH PRINTED DEPARTMENT OF CORRECTIONS ON BACK. 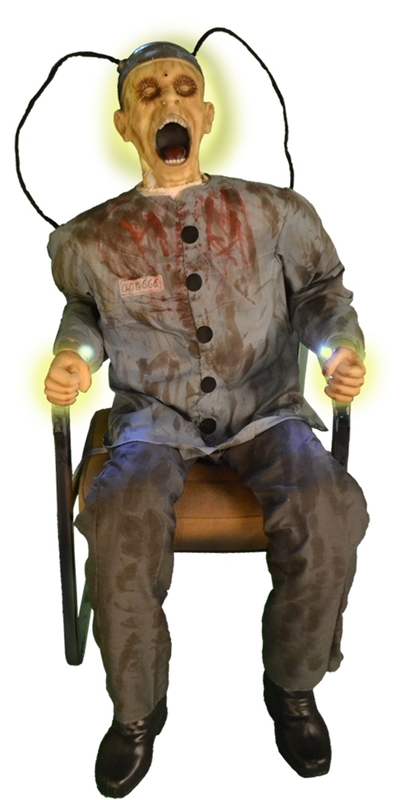 Make Halloween a lot more fun with props and decorations like this Electrocuted Prisoner Death Row Prop. 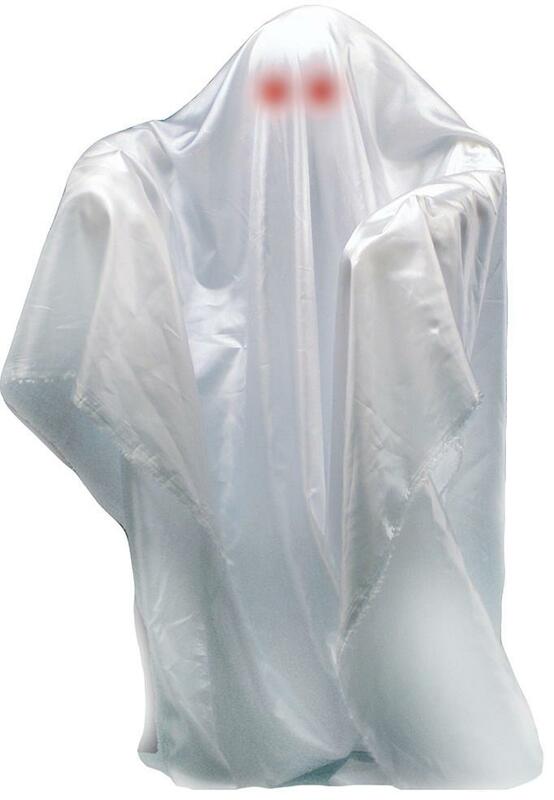 Make Halloween a lot more fun with props and decorations like this moving and hovering ghost. 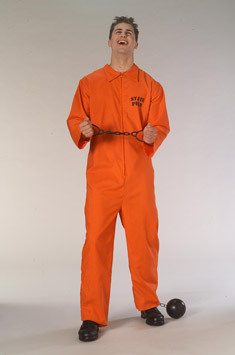 INCLUDES JUMPSUIT WITH "STATE PRISON" PRINT ON FRONT AND BACK VIEW DEPARTMENT OF COLLECTIONS / CORRECTIONS. PRISON CUFFS AND BALL AND CHAIN SOLD SEPARATELY. 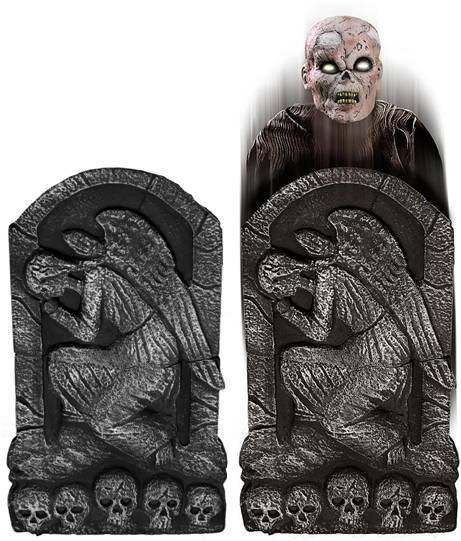 Make Halloween a lot more fun with props and decorations like this Pop-up corpse from gravestone decoration prop for Halloween. 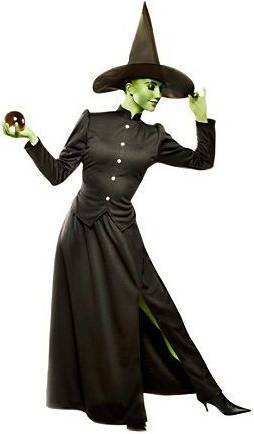 Costume includes top and skirt. From the Disney movie, Beauty and the Beast, this licensed costume for men includes a jacket, neck scarf and hood.